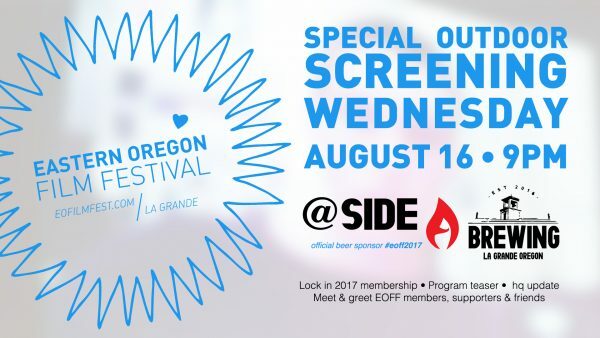 On Wednesday August 16th join EOFF members, fans, and friends at Side A Brewing for a back alley special screening, sneak peek opportunities, and start participating in the hub bub that is #EOFF2017. EOFF relies on member support to sustain this annual event. EOFF staff will be available for membership renewals. If you are not a past EOFF member please consider becoming one. Your support does amazing things. Special thanks to Side A Brewing for stepping up in support of EOFF and pledging to keep us all hydrated come fest time – October 19-21.